Denny Sturgis Jr. received his first longbow at age three from his bowhunting father. He is co-owner of Traditional Vision Quest, LLC, (TVQ) an award winning video production company specializing in traditional archery. Denny also writes the Stickbows column for BOW & ARROW magazine and is a contributor to Traditional Bowhunter magazine as well. Denny’s love of adventure and the longbow have taken him to numerous destinations around the globe. We welcome Denny’s balanced advice to our Traditional clients. 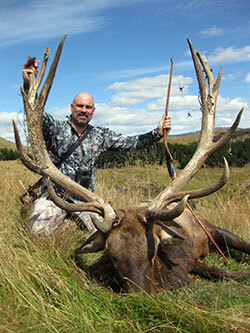 I've booked with Bowhunting Safari consultants extensively since my first African safari many years ago. They have always treated me well and without a doubt have helped make some of my bowhunting dreams come true. BSC truly cares about their clients and I give them my highest recommendation." Denny Sturgis Jr.